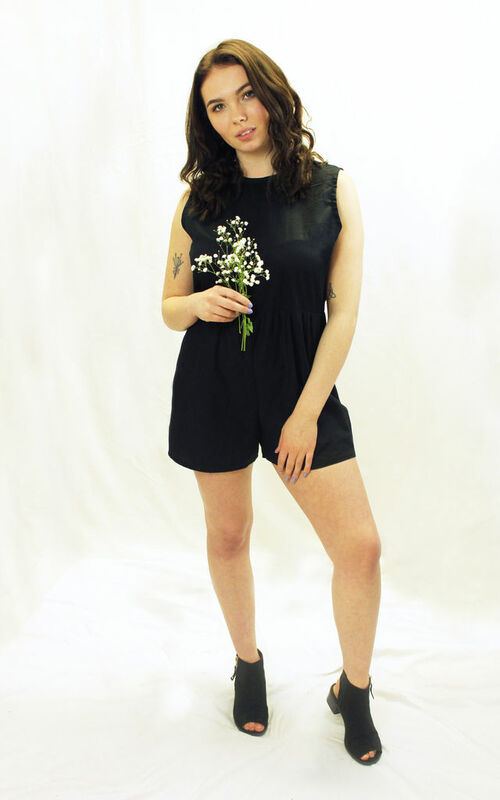 This playsuit features a crew neckline, nipped in gathered waist and shorts. Length of playsuit, from shoulder seam to hem, 73.5cm approx. Model wears: UK size 10.